In urban China, iOS’ share of the market fell by 0.4 percentage points. FMCG in Asia sees an overall positive growth in Q4 2018. China leads the growth for Northeast Asia. The opportunities for baby goods market growth facing the challenge of low birth rates. Consumer spending on FMCG in China made a good start with a value growth rate of 7.7%. In our new report we found out why healthy snacking is on the up or how menus are getting simpler. In urban China, Huawei put in a stellar performance as its market share hit a record 26.9%. Kantar Worldpanel reports the spending in FMCG in 2018 grew by 4.3% year on year. How to measure innovation success beyond sales? In our new publication "Innovating for growth" we analysed more than 1,800 new product launches. Low-tier city consumers are an increasingly important source of growth for FMCG industry. Consumer spending on FMCG in China grew by 4.6% compared with the same period last year. We wish you a happy and successful 2019! FMCG in Asia sees an overall positive growth by 4.2% in Q2 2018, compared to 3.2% in Q3 2017. Great Place to Work has named KWP as one of the ‘Best Companies to Work For® in Greater China’. consumer spending on FMCG in China growth slowed down to 4.7% compared with last year. Kantar Worldpanel and Bain & Company’s latest annual China shopper report 2018Vol.2 released today. 21 FMCG companies reached over 100 million urban households during the 52 w/e 2018/10/05. The proportion of those who actively upgrade in pursuit of new models has continued to decline. 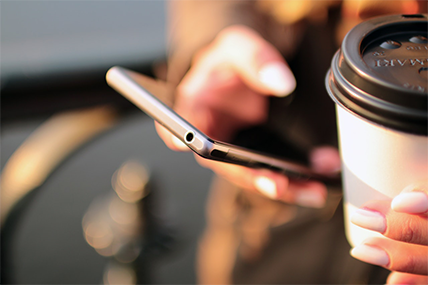 The latest smartphone OS data from Kantar Worldpanel Comtech shows a mixed picture for Android. Consumer spending on FMCG in China maintained stable growth. FMCG sector in China and the rise of “new retail” in the region. Price was the biggest driver of the growth, up by 4.8% in Q3 compared to the same period last year. “The dynamic world of e-commerce in Asia” reveals that Asia has taken the lead in online shopping. The total sales growth of FMCG is 4.3% -- that was outpaced by parenting goods, which grew by 9%. The sales growth of bubbling beverages is three times more than that of overall beverage market. Within our baby panel, 60% of babies younger than 3 years are living in lower-tier cities. Consumer spending on FMCG in China remained positive by growing 5.3%. Consumer spending on FMCG in China grew by 6.1%, up by 2.7 points. Kantar Worldpanel reports that the growth rate of FMCG accelerated during Q2 2018 vs Q1. KWP ComTech reveals a mixed performance for Android in the three months ending June 2018. China shopper report finds the rate of total value growth increased over the previous year in 2017. Discover global FMCG and retail trends, and how brands can drive growth through different channels. 35.0% of households in county level cities and 27.8% in counties purchased FMCG online. This is a good news for imported cosmetics brands, which have been enjoying 40% growth recently. FMCG market in the first quarter of 2018 was relatively weak with value growing by just 2.3%. Consumer spending on FMCG in China saw a significant uplift thanks to the Chinese New Year. The key to sales growth is attracting more buyers to your brand in a particular market to buy. 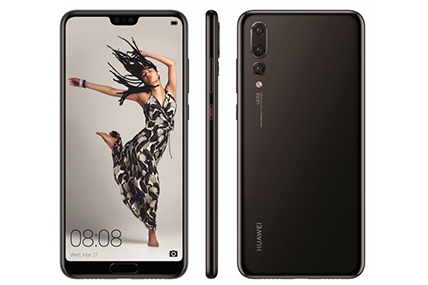 The Huawei P20 series cements Huawei’s ability to proudly stand side by side with Apple and Samsung. Ecommerce continued its growth momentum since Double 11 in 2017, hitting a record high share. The spending in China FMCG market grew by 4.3% in 2017, which giving optimism signals for players. Asian offline retailers are finding new ways to smooth the shopper experience through technology. 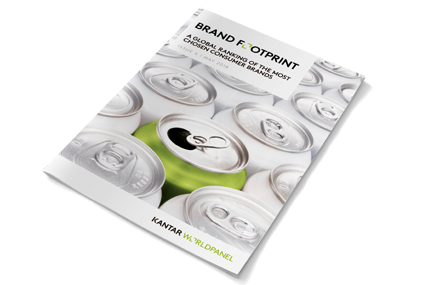 Kantar Worldpanel Asia Brand Power explores the hidden dimension of the rise of Asia’s FMCG brands. iOS performance in urban China continues to impress, gaining 4.6 percentage points. Consumer spending value on FMCG in China grew by 7.7% for recent 12 weeks, fueling by Single's Day. Kantar Worldpanel is awarded ‘Best Companies to Work For® in Greater China’ for three years. P&G, Yili and Mengniu attracted more than 150 million Chinese families separately in 2017. The study shows that e-commerce now accounts for 4.6% of all FMCG sales globally anda grew by 30%. 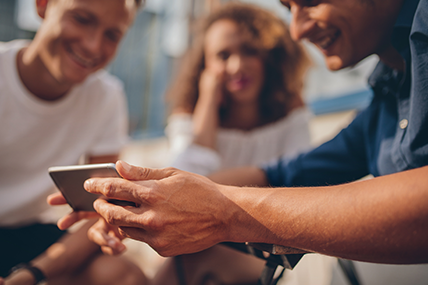 The rising digital activity has had little impact on certain key elements of consumer behavior. China FMCG in the third quarter of 2017 grew by 3.6%, indicating a clear recovery for the industry. iOS posted growth in the US, China, Germany, France, and Spain, but performance in UK dropped. How the advertiser optimize the media budget allocation for driving sales? Ecommerce giants are looking to drive growth in the brick and mortar world in the era of New Retail. Both modern trade and ecommerce enjoyed growth in the era of New Retail in Q2 2017. China FMCG market shows recovered,retailers actively transformed their business models. FMCG spending in west and north still saw a healthy growth for the year to 21st April 2017. Pechoin, CRP over 100 million in urban China,emerged as the most chosen skin care brand in 2016. Can the normal temperature lactic acid bacteria be the next growth segment? The current status of Chinese cosmetic market, channels and the interaction of the mobile platform. Local retailers saw a softening growth but were still able to capture well the CNY opportunity. Premiumisation has led to the rapid development of store made beverage market. Hypermarket is often the chosen channel for shopping of preparing the Spring Festival. China FMCG market in 2016 is marking its slowest growth in the last decade. The middle class consumers contribute more than half of incremental sales in the beauty market. Modern trade grew by 0.5% whilst eCommerce grew by 50% for 12 weeks ending 2th December 2016. The annual penetration and frequency of chocolate category from 2015 has continued to decline. Nearly 80% of all smartphones sold in Urban China were Android, as local brands dominate the market. iOS achieved year-on-year growth across most regions except Germany and Urban China. Singles' Day event becomes covering all categories and online FMCG spend is 4% in global now. Who is winning more Chinese consumers in 2016? Nongfu Spring made to the 100 million urban Chinese households list for the first time in 2016. Online sales in China continue their decade-long success, and are chipping away at the offline. Modern trade grew by 1.1% while eCommerce grew by 60.2% compared to the same period of 12 weeks. Oppo become the 4th largest manufacturer in Urban China. The latest global e-commerce report forecasts that e-commerce channel in FMCG will grow to 9% of the market by 2025. 2016 Cosmetic Brand Footprint shows that the brand Dabao leading the ranking by 23.1% of the population. Sun-Art and Yonghui still leading penetration growth; JD 618 anniversary becomes the 2nd largest online festival. Kantar Worldpanelreports the spending in fast moving FMCG in 2nd quarter of 2016 grew by 4.6% year on year. The light-flavor beverages are the biggest dark horses in the market now, and become consumers' new love. The next breakfast icon: Cereal? Breakfast cereals experienced a dramatic growth in recent three years with more and more accepptance of Chinese homes. Young Chinese mums are more concerned they're getting old compared with married women without child in the same age. In Urban China, Android captureed 78.8% of smartphone sales in the three months ending April 2016. Kantar Worldpanel's latest figures 12 weeks in China shows the growth of hit the lowest since 2016. 2016 Brand Footprint report has revealed that Chinese brands are continuing to outperform their global counterparts. Global FMCG brands challenged as local players grow by $41 billion in 2015, almost double the rate of multinationals. Mate 8 and Honor 5x drive up Huawei sales. iOS’s sales share drops by 5 percentage points. Baseline Data Shows Broad Differences in Adoption Between US & EU4. FMCG market showed sluggish growth for the first quarter of 2016. While modern trade experienced negative growth. Facial masks popularity had a steady increase of mask penetration in all generations in China market. According to the latest 12 weeks data of Kantar Worldpanel,Yonghui continues to grow market share by opening new stores. Chinese brands are playing the pivotal role in China cosmetics'market growth. And five forces push up their fast growth. Dairy market is one of the fastest developing sectors in China and still has great potential to growth. Sun-Art Group continues to be the leader of the FMCG market.And the market share hit a new high in the lastest 12 weeks. Xiaomi loses 10% points of market share from a year ago, becoming a distant third in urban China. 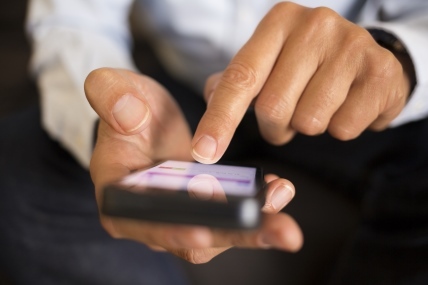 Mobile penetration in the US & Europe‘s Big 5 Countries has reached 91%. In urb. China to 97%. The launched individual personal care panel will reveal insights on purchase behaviours of different demographic group. China consumers in 27 tier-1 and -2 cities spent 19.4 billion yuan on coffee in the first 11 months of 2015. Local giants and regional players continue expansion in West region reflected in the recent mergers and investment. Meet Maria and discover how through our panellists we will continue inspiring our clients’ successful decisions. Shower gel grew rapidly on the back of massive expansion of user base while bar soap sales maintained by larger packs. China FMCG market continues deceleration and West region is leading the growth with 3.6% growth rate. Android returning to growth in Europe's big five markets.Apple regaining 2nd in China urban market. Who Are Winning More Chinese Consumers in 2015? P&G maintained its lead, while Yili and Mengniu advanced to the top spots. Huawei remained the top brand with a market share that grew 72% over the third quarter of 2014 in urban China. The latest report showed Q3 China FMCG market only grew 2.7%,which hit the lowest growth rate over the last three years. 2015 China Shopper Report,volume 2 focuses on how retailers and e-tailers have been impacted by FMCG market slowdown. Asia Brand Power 2015 report shows local brands are now growing twice as fast as their global rivals. As growth is becoming more difficult, what can modern trade retailers do to cope with China’s ‘new normal’? Raising pets has increasingly popular in China.Therefore,the pet food business will increase dramatically in the future. Carrefour market share in the west increases to 3.5%,up from 3.3% at the beginning of the year.Others regions decreased. Possessing a distinguished personal brand, being charming both inside and outside is what matters for Chinese men. Asia FMCG market of grows 4.6% and all sub regions are decelerated. Indonesia, Thailand and Vietnam slow sharply. The cut-throat competition among smartphone brands gets even more intensive: Huawei was dethroned by Xiaomi. The retail channel is developing fast towards multi-format model as shopping has been even more diverse and dynamic. Total sales of baby sector in 27 major Chinese cities reached 35.5 billion RMB in the latest 12 months 2015. Forming alliance and M&A became the main strategy for local retailers when facing fierce competition. China urban makeup market grew 12% in the latest 52 weeks to March 20 with the annual sales value at RMB 10.5 billion. Kantar Worldpanel estimates online's share of FMCG in advanced e-commerce markets will double in the next 10 years. Volume growth declined significantly in 2014 across all sectors, dragging down overall FMCG growth. Huawei becomes the best selling Android in urban China. Multi-nationals' retailers continue to face intense competition from regional retailers.Such as Dannis in East region. Chinese liquor market experienced noticeable slowdown after a few years of double digit growth and only increased 4.8%. Q1 key and provincial capitals snacks and beverage market is up to 36 billion.40% of the purchase are for sharing. Challenged by the growth of e-commerce, leader retailers in China are striving to embrace new ways to win shoppers. Apple iOS' popularity continued to grow in Europe's five largest countries, reaching a 20.3% share. Kantar Worldpanel reports FMCG market in Q1 increased by 4.3% this year which represents a continued deceleration. Apple’s iOS sales have reached an all-time high in urban China where it captured 27.6% of the smartphone market. The top retailers’ have been able to consolidate their share in recent 12 weeks under gentle growth background. The bottom of the pyramid in China presents substantial opportunities to exploit as their purchasing power is rising. Mask is the fastest growing category within skin care market in recent years, driven rapid expansion in buyer base. 2014 China Retail Book is a guide to understand how retailers are performing in China’s FMCG market. Apple's iOS reached its highest ever share in urban China with one in every four smartphones sold being an iPhone. The latest 12 weeks ending 23rd, Jan 2015, showed lower growth for China FMCG market which affected leader retailers. Apple's sales share rose to 21.5%, narrowing its gap with market leader Xiaomi. Kantar Worldpanel launches the new Out of Home Panel in China to track snacks and beverages purchase and consumption. Against the slow-down in the growth of the overall FMCG slowdown, the import milk market still maintained rapid growth. China FMCG market is slowing down but some categories (8% growth for toothpaste) still benefit from premiumization. China FMCG market entered an era in which brand growth will come mainly from share gain. Who are winning more Chinese consumers? The latest report from Kantar Worldpanel shows that P&G, Master Kong and Nestlé make up the top 3 in the race in 2014. Xiaomi still dominate the China mobile market share. iphone6 boost Apple's sales in Europe. Kantar Worldpanel reveals that growth in FMCG* spend in emerging markets has slowed significantly from 8.8% to 7.5%. Kantar Worldpanel latest report shows FMCG growth recovered to 6.9%- a promising rebound in the second half of the year. Slowing increase of market,government regulation are changing baby products' market structure and competitive dynamics. Chinese manufacturer Xiaomi has continued its reign over the Chinese market and took 31.6% share. with the background of lower increase for FMCG market,“bigger is better” seems to be losing its appeal for new products. According to the latest report from Kantar Worldpanel ComTech, Apple lost number 2 seat to Xiaomi. BB cream was a particularly successful innovation in face, succeeding in introducing women to the cosmetics category . The latest report from Kantar Worldpanel shows that the growth of Q2 FMCG market returns to a level consistent with Q1. Kantar Worldpanel and Bain & Company jointly launched China Shopper Report, 2014. It is the generally accepted that fresh food is vital to store traffic, and thus is key to a supermarket’s success. 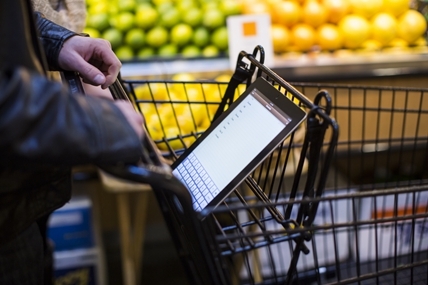 Catman is one of Shopper Solutions that analyze the ongoing behavior of shoppers in modern trade. Master Kong is the Most Chosen Brand in China for the second year in Kantar Worldpanel’s Brand Footprint ranking. 6.1% value growth for the FMCG market for the latest 52 weeks up to March 21st 2014,reported by Kantar Worldpanel. Kantar Worldpanel in China points out that there is a vast room for new categories to win more consumers. Kantar Worldpanel data shows that the online channel is driving the incremental revenue for many categories. Premiumization is one of the hottest issues in the China market and has been across all city tiers and categories. By the end of 2013,for those iPhone users who also own a tablet device,64% of them are using iPad (iOS). Kantar Worldpanel reports annual value growth of 7.4% in 2013 and the Sun-Art Group has seen strong share growth. Kantar Worldpanel research indicates potential for brands: 85% of men care about their appearance. Kantar Worldpanel has expanded into Africa with the launch of new consumer panels in Nigeria, Kenya and Ghana. With the Year of Horse just around the corner, Kantar Worldpanel invites you to click the tasty insights. A Kantar Worldpanel survey on 5,300 Asian men has found: 62% disagree that "using grooming products is a women thing". China Mobile and Apple have high expectations from their partnership. Setting a reasonable target is the fundamental of healthy brand growth. Sun Art Group remained growing in both shopper and basket size while Carrefour lost leading position in basket size. E-commerce growth for mainland China, Taiwan and Korea FMCG market hit double digit for several consecutive years. Sun Art Group’s remains the only retailer that has grown its shopper base in the latest 12 weeks. 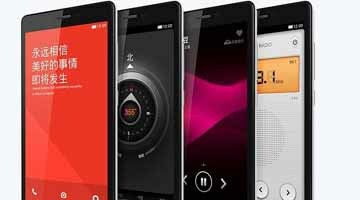 The latest report from Kantar Worldpanel ComTech shows that Android gains approx. 3% market share each quarter. 73% of the Q3 FMCG growth comes from outside of the provincial capitals in China, according to Kantar Worldpanel China. 21 FMCG companies reaching over 100 million urban Chinese families. Kantar Worldpanel reports 7.1% value growth for the FMCG market for the latest quarter up to June 14th 2013. KWP panels are able to provide a unique understanding on the current status of beauty habits China. Brand Footprint ranking highlights potential for global growth. China FMCG market reporting only 8.4% growth in Q1, yet RT-Mart continued its unstoppable march. ... as consumers aspire for lifestyle and innovative products. Kantar Worldpanel reports 11% value growth for the FMCG market for the latest quarter up to December 28th 2012. The slowdown for both China's economy and FMCG in 2012 doesn't thwart lower tier cities to shine brighter. Kantar Worldpanel China reports 10% value growth for the FMCG market compared to the same period a year ago. 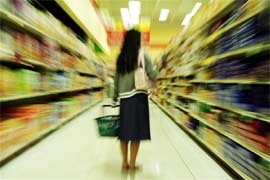 Kantar Worldpanel reports 15% value growth for the FMCG market for the latest quarter up to June 15th 2012. Bain & Company and Kantar Worldpanel released the 2012 China FMCG Shopper report in Beijing. China has overtaken the US as the world's largest smartphone market. Yonghui is rapidly expanding its footprint across China while overall grocery market showing signs of slowdown. Kantar Worldpanel launches of a new suite of Media investment evaluation research tools for the China FMCG marketplace.